Nebo Advanced Learning Center was privileged to send 6 representatives to Kansas to visit the headquarters of the “CAPS Network”. 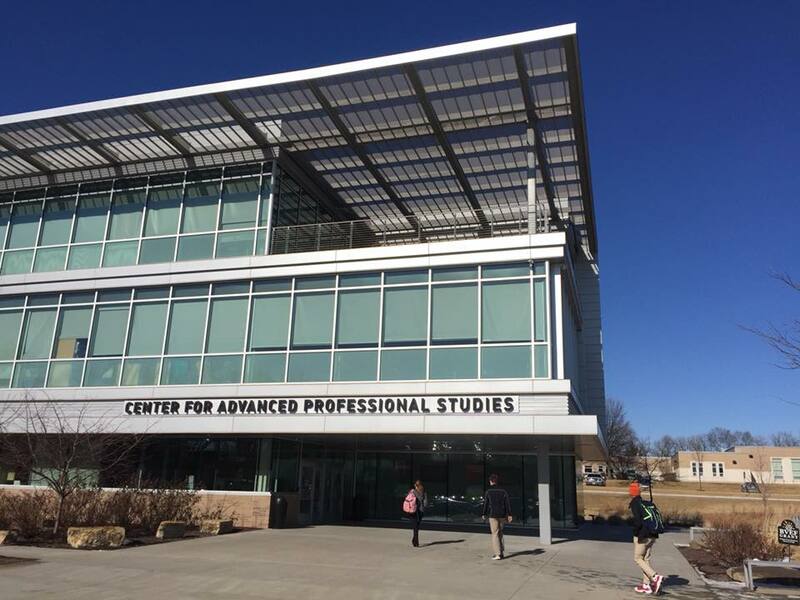 CAPS, or Centers for Advanced Professional Studies, are programs that are recognized as innovative high school programs. Students have unique opportunities to be immersed in a professional culture, solve real-world problems using industry tools. The ALC is working toward obtaining professional mentors from the business community to support our newly established program. Business, community, and educators partner together to personalize learning experiences that educate the workforce of tomorrow, using authentic learning opportunities. While the group was visiting Blue Valley CAPS they were able to observe and participate in a unique student competition, put on by local businesses to solve current challenges that the businesses are facing. Each business reported that they had a difficult time selecting just one winner, as the student groups had so many valuable ideas and plans. The ALC looks forward to creating more of these types of experiences for our students. ALC students are currently working with the Utah County Bomb Squad team on a design project. Our computer science students are working with the owners of Mapleton City Cemetery on a locator app. Our videos students have been able to work closely with Jarrom Sidwell from the 4th wall with some filming and acting and we have recently agreed to host an ACE mentoring program sponsored by ACE of Utah. We recently developed relationships with ATEK, a personal defense provider. ATEK will be taking on 4 Nebo School District students as product development interns. These opportunities are very beneficial and enhance our current curriculum as well as adding to the student’s portfolio of experiences. The visit to Kansas provided our team with many new ideas to improve our program and to advance student experiences.